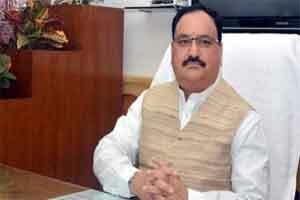 Union Health Minister J.P. Nadda said there is a need for the Indian Council of Medical Research(ICMR) to endorse India’s traditional medicinal system and boost research on the subject. “We have a vast traditional knowledge and this needs to be incorporated in a holistic manner. ICMR need to go for cutting edge research and attract the best talent in the country which would be dedicated to research,” said Nadda. Nadda was speaking at a function to felicitate 43 scientists for their work in various areas including communicable and non-communicable diseases, maternal and child health and various other medical and bio-medical fields. The minister also asked ICMR to list at least 10 major pressing challenges in the field of healthcare in India and find the local solutions to those challenges. “These suggestions will enable healthcare to become holistic and truly meaningful,” he said.